Search Thalyssra's estate and collect her belongings. 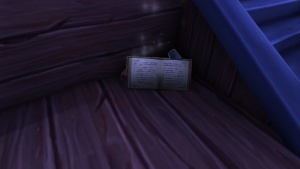 Thalyssra's ransacked estate still contains a number of items important to Thalyssra. Collect them and return them to her. This is a comfort beyond words.